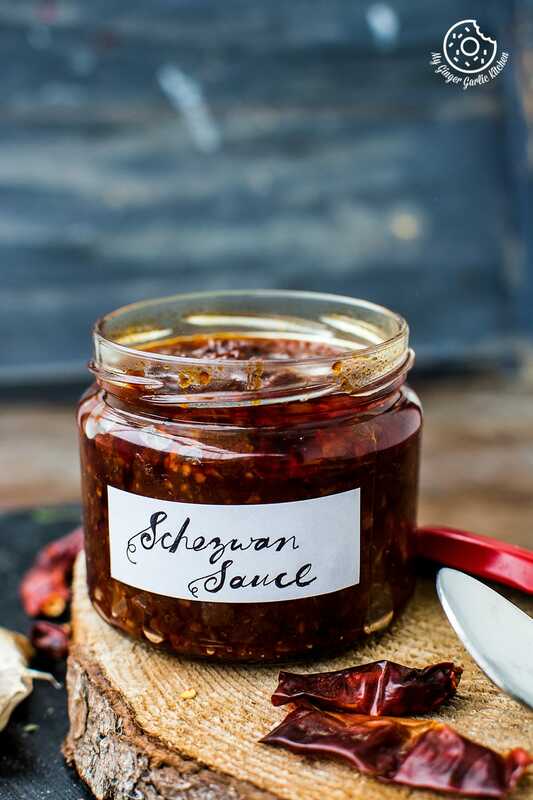 Schezwan sauce is a spicy and hot Chinese chili sauce which is used in many fusion Indo Chinese dishes. 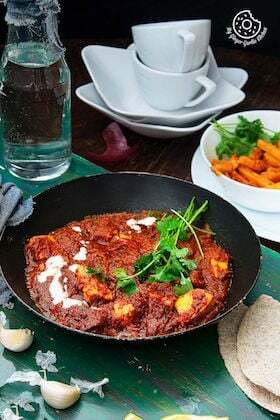 It’s spicy, slightly sweet, slightly tangy in taste. How’s this week been so far? Mine is going absolutely amazing. This week, we visited a nearby city of Hämeenlinna, which is about 100kms from here. That city is famous for its old museums and historic castle. Little A’s holidays are almost over, and in 10 days she would start her Kindergarten again. So we are planning for a couple of more visits to the nearby cities before she starts her kindergarten again. And I can say that her holidays are going well so far. We have managed good thus far. Before her holidays started, little A and I planned to spend a lot of time together in the kitchen. And this week we did spend some good amount of time in the kitchen. We did some fun baking together. However, I didn’t get a chance to cook a proper meal this week. But I made this Schezwan sauce. Let me tell you why I chose to make it. 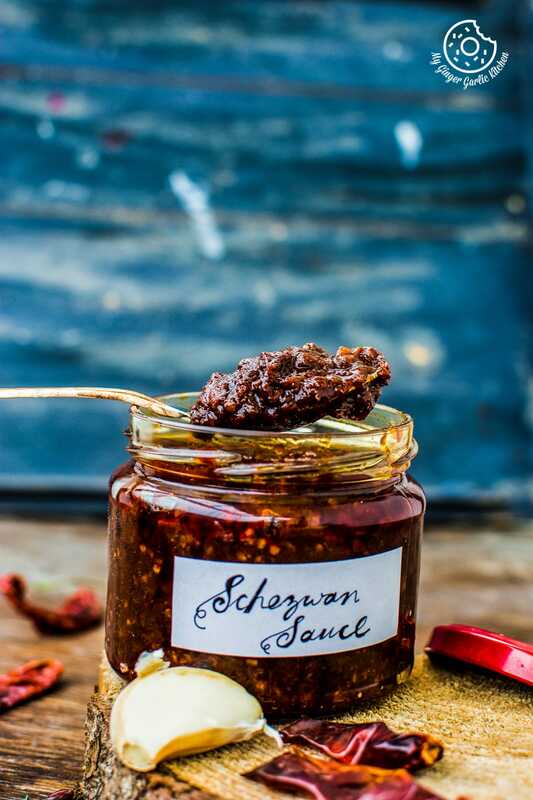 I made this spicy Schezwan sauce which can be used in so many Indo Chinese dishes. I just LOVE Indo fusion Chinese dishes. They are a well mix of spices and amazing taste. 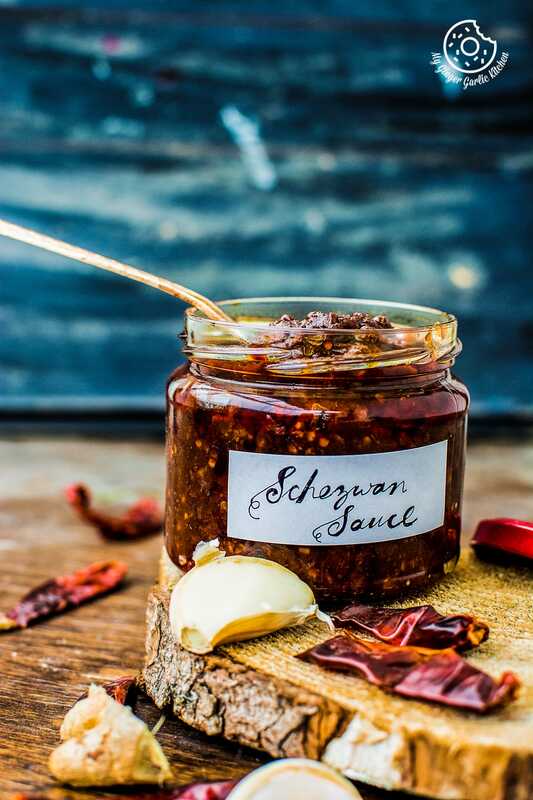 Experts say that Szechuan sauce is originated from the Sichuan cuisine, Szechwan cuisine, or Szechuan cuisine which is originated from Sichuan province in southwestern China. 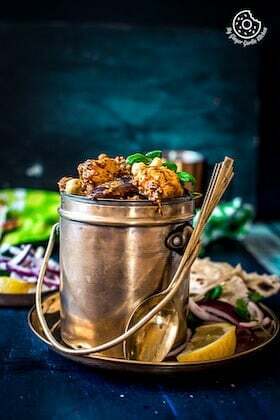 But the version of sauce I am sharing today is born somewhere in India because this sauce is best suitable for Indo Chinese dishes. 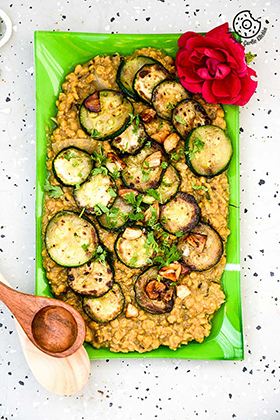 You can use this sauce while making stir fried veggies and serve them along with steamed rice — a comfy and delicious meal in itself. You can make Schezwan fried rice with it in no time. You can make triple Schezwan with rice, noodles and crispy noodles. You can make veg Schezwan noodles. You can make Schezwan fried idlis.It goes so well with Indian Poppadoms / papads. Try it, and you’ll thank me later. The chilies added in this sauce are dried red chilies. The name ‘Chili’ itself is kinda hot and I agree this chili sauce is hot. 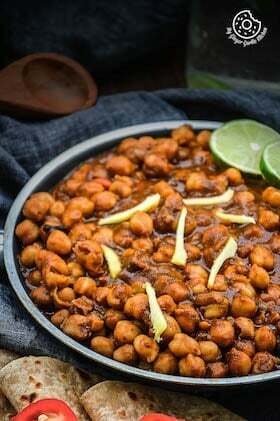 But the good news is that you can choose any type of chilies which are more favored by your taste buds and according to your tolerance for spices. I personally prefer using the mildly hot Indian variety of dried red chilies which I can buy from any local Asian grocery store. The chilies I use are not too fiery and they also give a good color, flavor and they taste sufficiently good too. Add extra oil to the sauce, that way you will get the oil floating on top. And this will help the sauce to stay fresh for a longer time. You can refrigerate this sauce for about 2 to 3 weeks. You can also add celery to this sauce for that extra herby punch. I did not add them in this video because I didn’t have them at home when I was making this. With or without celery, it’s completely up to you. If you find even milder chilies too hot, then simply deseed them before making the paste. 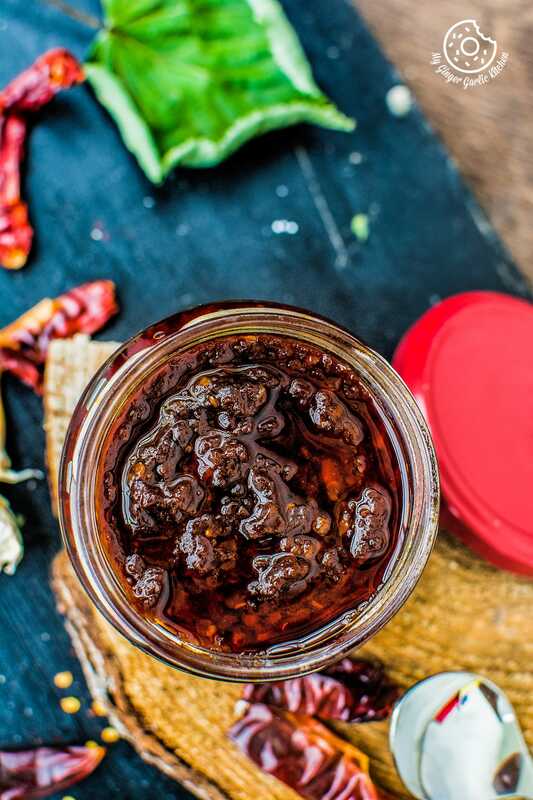 If it is hard for you to find dried red chilies, then you can also use the store-bought chili paste for making this sauce. Always store this sauce in an airtight container and at the time of using, scoop the required amount of Szechuan sauce only with a dry spoon. 2. After 30 mins, discard the water and blend to make a nice and smooth paste. (You can add a little water if required. 3. 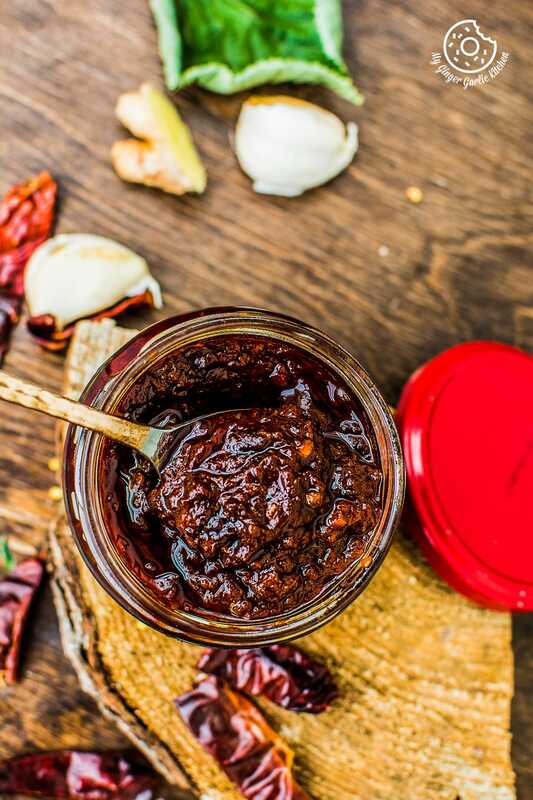 Chili paste is ready. Keep it aside. 5. Add garlic and sauté for few seconds. 6. Add ginger and sauté for about 2 minutes or till ginger-garlic is golden in color. 7. Now add in prepared red chili paste and stir well. 8. Let it cook till the chili paste reduces oil. 10. No add in salt, sugar, sichuan pepper, soy sauce, and tomato ketchup. 11. Mix well and cook for 2-3 minutes. 12. Now add white vinegar and stir well again. Let it cook for 3-4 minutes or till oil leaves the sides. 13. Let it cool completely and store in an airtight jar and refrigerate. 14. 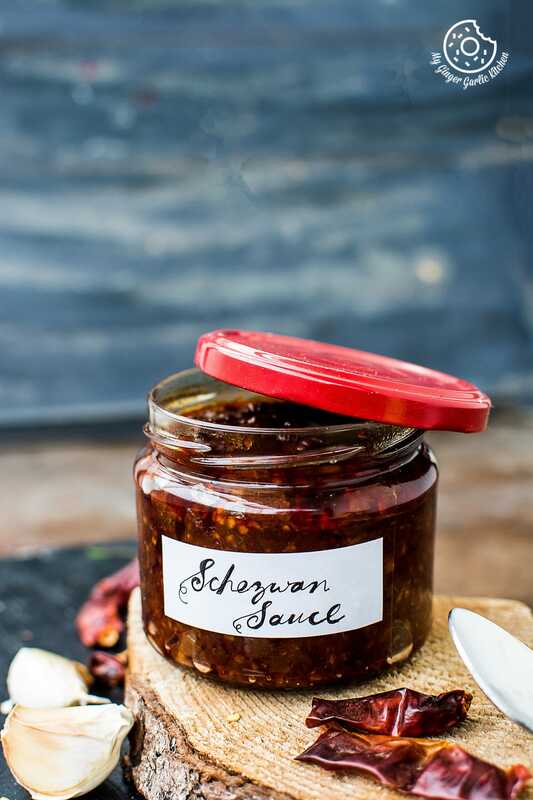 Use it as a dipping sauce or when add it in your favorite Indo Chinese recipes. 1. This sauce stays fresh for about 2 to 3 weeks in an airtight container in the refrigerator. 2. You can also add celery to this sauce for that extra herby punch.